After a fully unplugged weekend (have you tried it recently? No blogs, no social media, no online news – aka bliss) I’m finding it a little tougher than usual to log back on today. And I’m also now obsessing about I can cultivate offline activities in our home. I’m quite confident that the following ten book collections will inspire you to turn on airplane mode and lose yourself in the analog world. Or at least style a really good shelfie. 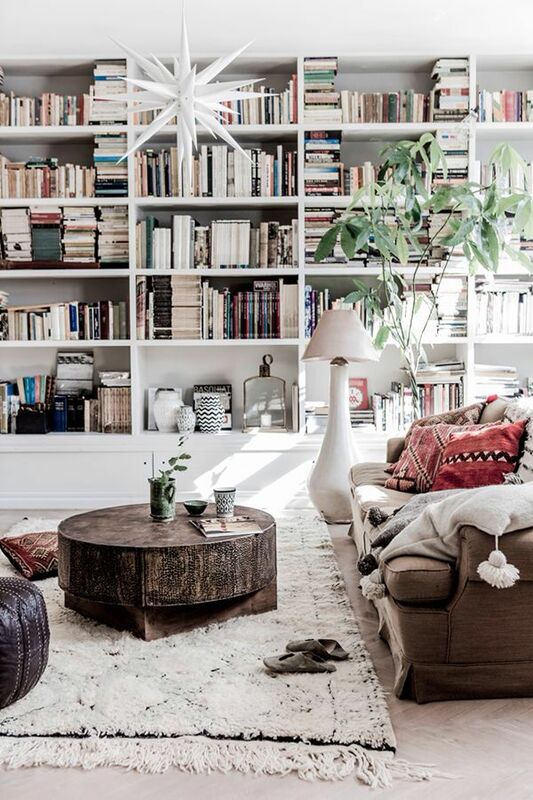 For more decorating inspiration, CLICK HERE (or better yet go grab a good book!). Personally I prefer to eclectic look to the super-manicured and color-coordinated bookshelves. Love the first pic. I oscillate back and forth but really love the vibe of the first room!